Capital Painters specialise solely on all aspects of painting and decorating, from a small bathroom to an exterior of a large building in both the commercial and residential sector. Here are a few examples of some previous works carried out. This front door was sanded back and all the loose and flaking paint was removed. Cracks and gaps were filled and 2 undercoats were applied. 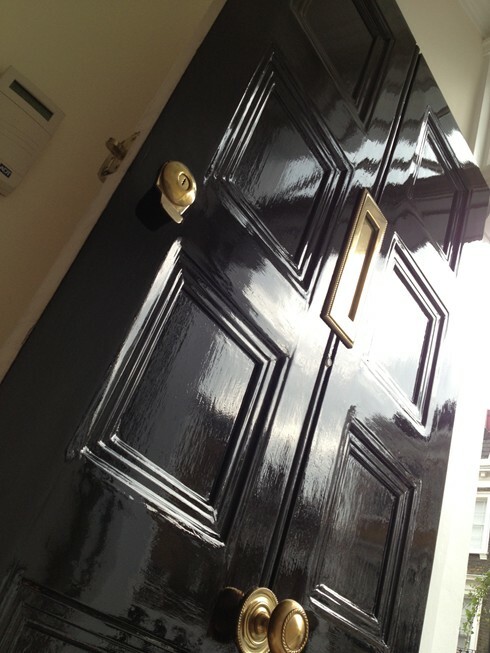 This door was finished with a dulux weather shield gloss and restored back to its original state. 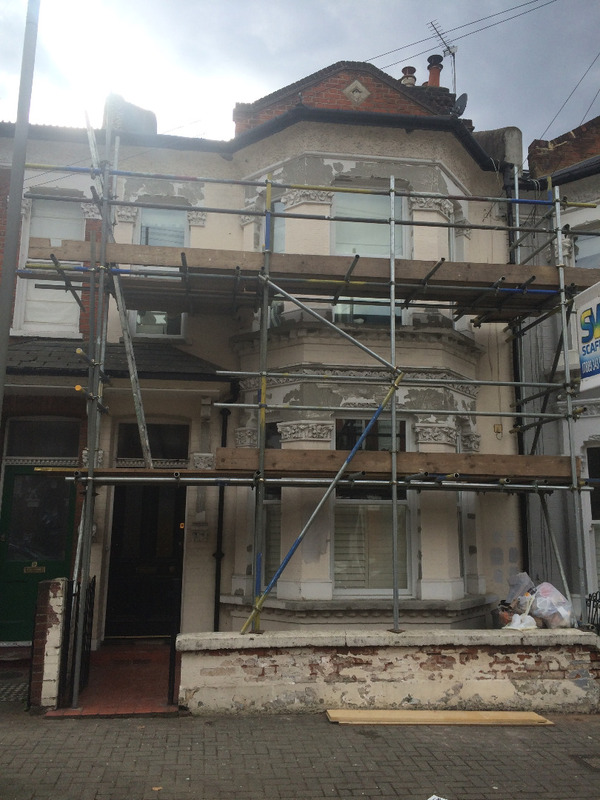 The exterior of this property was in need of some remedial work. All of the loose and flaking paint was removed and the parts of the masonry had to be repaired using an exterior masonry filler. 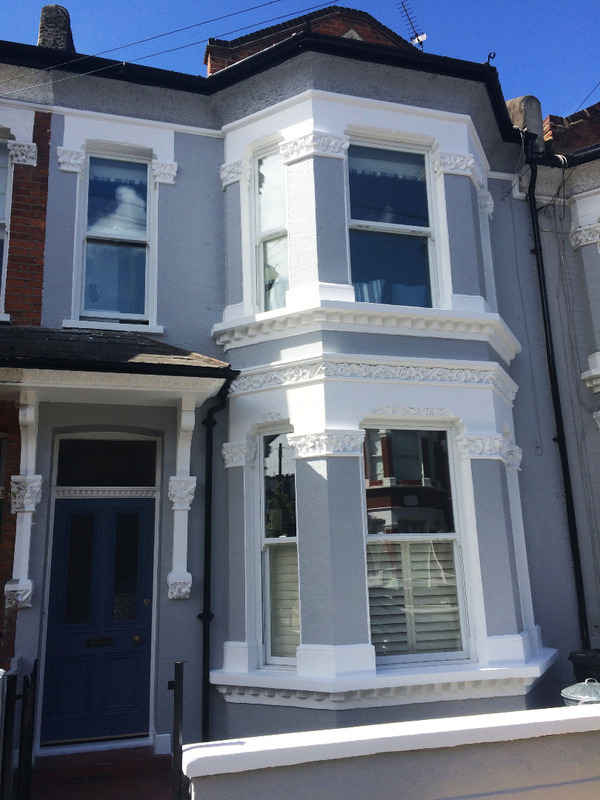 To give it a long lasting finished the masonry was painted with Dulux weather shield exterior masonry paint. On this window some of the putty had become loose and defected and the paint had started to peel. 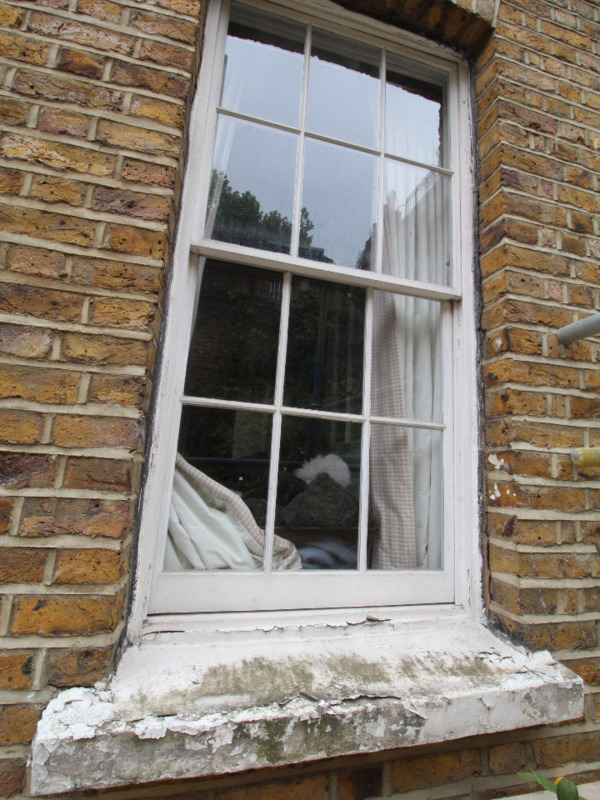 After raking out the old putty and applying a new line where needed, the window was undercoated and painted and the original look was restored. 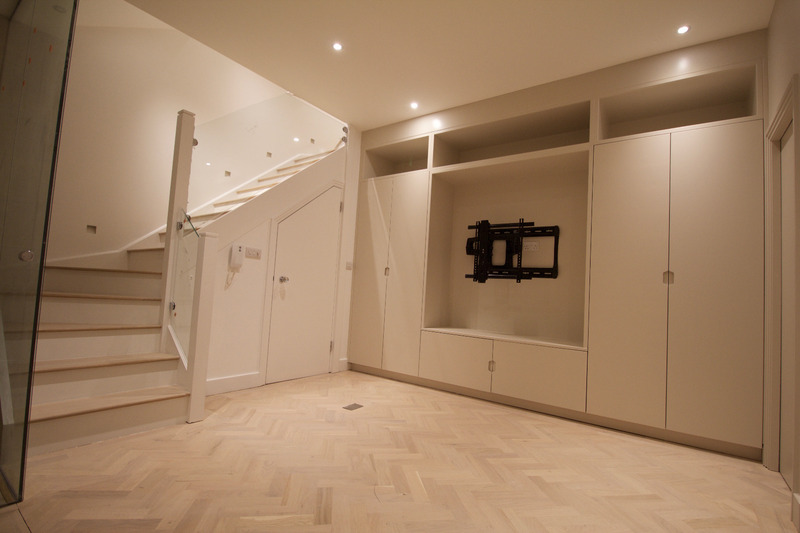 This was a basement that had been refurbished by a construction company and the painting carried out by us. It was taken from bare walls and wood shown in the first picture to the finished painted room you can see in the second picture. 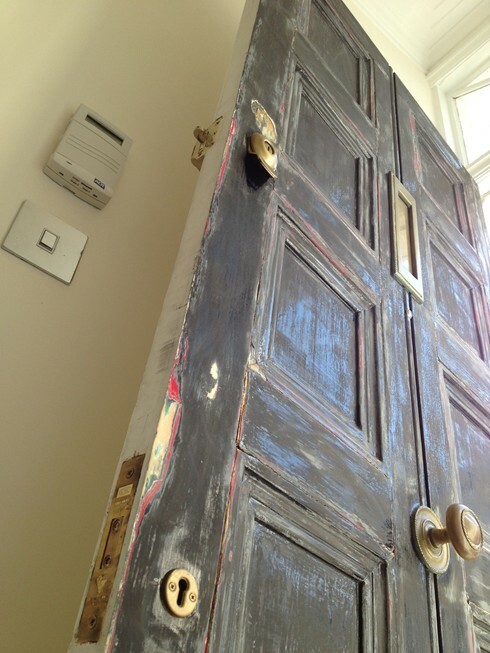 All the cabinets were hand painted too, finished with farrow and ball colours. 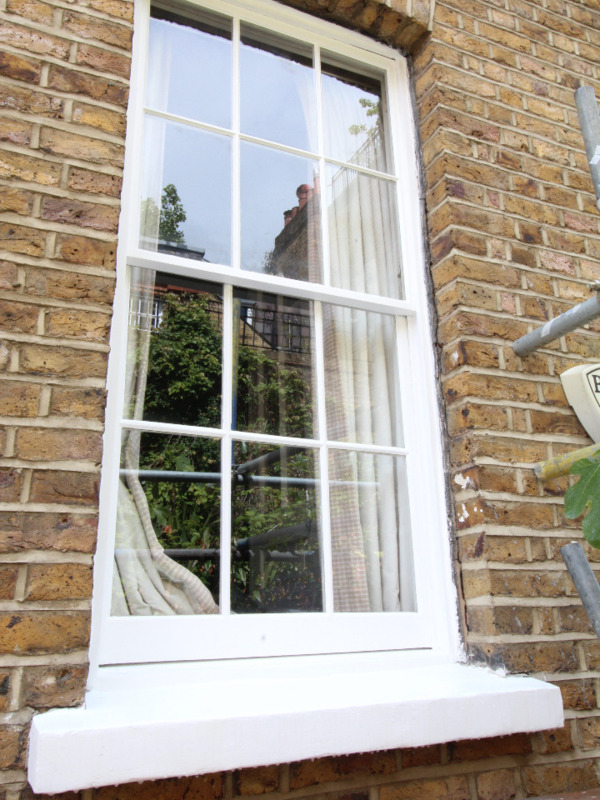 For more examples of both interior and exterior works that have been carried out please click the gallery button. One of the most important parts of the decorating process is the preparation of the surfaces prior to painting. If this is not done properly the final result will almost certainly be sub standard. 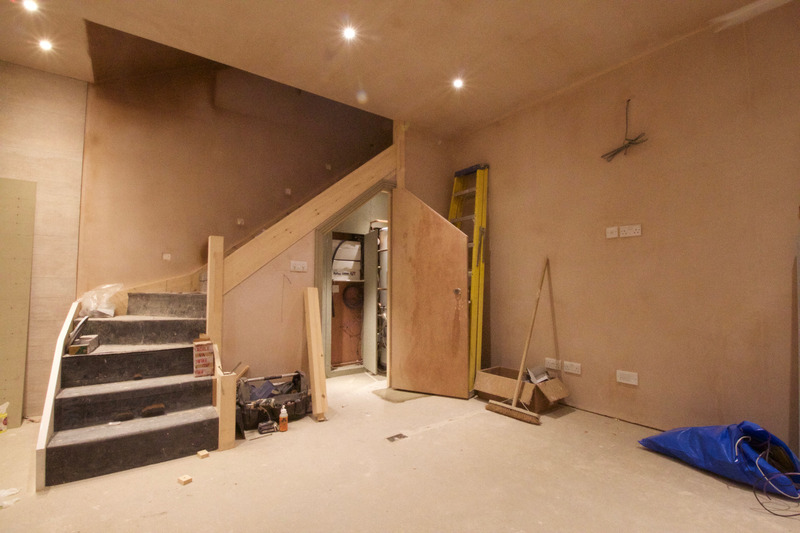 All of our work is carried out in accordance to strict preparation methods and finished to a high standard using the correct paint systems with the very best paints and materials available, ensuring a long lasting finish. During the preparation stages sanding back old paint and fillers can create a lot of dust, however, as we only use the very best in Festool sanding and extracting equipment the area will be virtually dust free. We pride ourselves on keeping the workplace in order and at the end of each day the area will be cleaned and left tidy, causing you the minimum amount of disruption.